No matter what type of work a person does for a living, there are always those in the field who care a little more and work a little harder than the rest. I pride myself on outworking my opponents and never forgetting how important these matters are to my clients. I promise to always work hard for you. If you or someone you love was injured because of another person's carelessness, you need a lawyer who will take the time to speak with you, listen and understand. 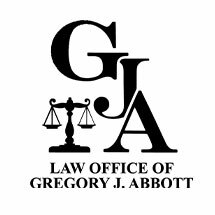 When you contact me - Gregory J. Abbott, Attorney at Law - that is what you will find. I represent clients in Woodridge and Downers Grove, Illinois, and throughout DuPage County in personal injury matters, and I have more than 20 years of experience helping clients receive the compensation they deserve. I like being able to help people, and that shows in every element of my work. I don't operate my firm like a legal factory, and my work week rarely ends at 40 hours or when I leave the office. I take pride in working hard to get my clients the best results possible. Prior to opening my own firm, I was an assistant attorney general. Working for the government, I tried a lot of cases, and I learned how to efficiently prepare every case for trial. In government service and private practice, I learned how best to maximize the settlement or verdict my clients receive. Learn more about the representation I can offer by scheduling your free consultation with an experienced Downers Grove personal injury attorney. I can be reached online or by calling 630-324-0836.